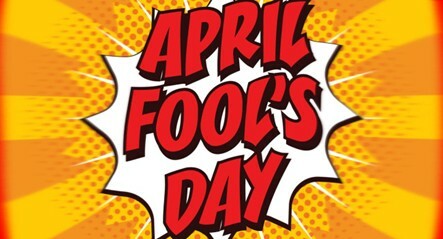 April Fools Day is rapidly approaching, which makes it the perfect time to start planning out some fun pranks. This day can be hard for kids, because knowing limitations while coming up with resources for pranks can be a little hard. Luckily, there are a lot of great ways that your kids can celebrate the holiday, so that everyone can have a little fun. These ten ideas are only scratching the surface of what you’ll be able to do with your kids and their love for pranks. So, check a few off of the list, so everyone can enjoy a fun and harmless holiday that will make lasting memories. Turning foods green can really cause some puzzled looks from anyone unaware of what’s going on. One fun way to freak out your child’s friends is to add some food coloring to their sandwich bread. Try to make the coloring resemble mold as best as you can. When your child pulls out the food to eat, all eyes will be on them. Another great option is to add some broccoli to the end of a stick. Then cover it with lollipop wrappers. Kids can pass out the faux lollipops at school. If you want to pull a prank on your kids or help one sibling prank the others, then there are still lots of options. For instance, you can help your child whip up green eggs and ham for breakfast. Another fun idea is to replace a snack size back of chips with celery or other green vegetables. You can seal it back with glue and place it in your child’s lunch. These green tricks are certain to bring some laughs. Let’s face it, kids thrive on gross things, which is why making gross slime is one of the best things you can do for April Fool’s Day. All you have to do is follow a simple recipe for slime and then work with it to suit your needs. For instance, if you’re looking to make some green snot slime, then you simply add some green food coloring until it reaches the best consistency. Another great option is fake vomit. All you’ll need for this is the same slime recipe, food coloring to make gross colors like brown or green and something that resembles chunks. You can even use real food, like corn, to make the mix even more disgusting. Kids will love placing their slime around the house or at school for a few gross outs and laughs. There’s no reason to cry over spilled milk, but sometimes the mess can cause a lot of frustration. That is why making spilled drink pranks is a great April Fool’s Day idea. You can go about this in many ways, but one of the best is to make slime and attach it to a cup or mug. Making slime look like drinks is actually quite easy. For instance, all you need for milk is a basic slime recipe made with white glue. Soft drinks are a breeze too. Once the drink is made, kids can place it anywhere. One of the best places to get a reaction is on top of electronics or furniture though. Kids are bound to have fun goofing off with this prank all year round. If you want to keep things simple, then battery removal is one of the best ways to help your kids prank the other children in the house or even your spouse. All you have to do is walk around the house and remove batteries from a variety of the items. If you really want to have some fun then remove the batteries from the remote control, a wireless controller or even a wireless mouse. It will take most people a few moments to figure out what is going on, which is bound to bring some laughter. If the household uses a clock often, then you can always remove the items from that too, in order to cause some confusion over the time. You would be amazed by how much fun your kids can have with balloons, especially when it comes to pranks. One of the easiest balloon pranks is to add a balloon or two under the couch cushions. If the item goes unnoticed then it will make a loud popping sound when someone sits down. You can also place balloons inside of things. For instance, a balloon under the toilet seat is bound to bring to some surprise. If you have space in your refrigerator then this can be fun too. You can also fill a pantry, closet or even a car with balloons for a quick laugh. If you are particularly crafty, you can fill a pillowcase with balloons and see who falls for it. There are so many great ideas, so surf around online if you’re looking for innovative ways to be tricky with balloons this holiday. Food tends to be one of the easiest prank ideas when it comes to youngsters, so have some fun with this trick because it is one of the cheapest options. One great idea is to have one of your kids get breakfast ready for his or her siblings. This is as easy as pouring a bowl of cereal with milk and then placing it in the freezer. When morning arrives, kids will dive into their food but won’t be able to get very far. You can also fill a cup with Jell-O that resembles your child’s favorite beverage or even your spouse’s morning cup of coffee. When the person goes to drink, nothing will come out, which is certain to cause confusion. Another option is to simply serve plastic food to see how long it takes for someone to notice. The bathroom is a prime place to pull off some master pranks that won’t cost you a fortune. One of the first pranks to try out is adding a color tab or gel food coloring to a faucet. When someone turns it on, the water will appear to be that color. You can also fill up an old soap or shampoo container with water so that no one will be able to create lather. If you use bar soap, then use clear nail polish to coat it so the soap won’t work. For a more surprising prank, add a piece of tape to the faucet so it sprays someone when they turn it on. You might also consider putting plastic wrap on the toilet or adding a rubber band to keep it closed. Without a doubt, this is only the beginning of possibilities when it comes to the bathroom, so help your child come up with innovative ways to explore their mischievous side. Sometimes, the quickest way to get to someone without them realizing what is going on is to alter their surroundings. One of the easiest ways to pull this off is to turn décor upside down. You might start by helping your child turn pictures the opposite way. Once this is done, move on to other pieces of art, clocks, sculptures and so on. It might take some family members a while to pinpoint what is going on in their world but watching them put their finger on it will certainly be hilarious. Fake bugs are probably one of the oldest tricks in the book, but they never seem to go out of style. Best of all, fake bugs are incredibly cheap, so you can purchase lots of them without breaking the bank. Fake bugs can be used in all sorts of situations. For instance, you can place them in cereal for a surprise in the morning. They can be put in bags, clothing and toys. You can also drop them on people as you pass by. Kids will love thinking of fun ways to use their toy bugs to pranks their parents, siblings and friends. You might even notice they use their screen time less, because they’re so busy having fun with their fake bugs. You would be amazed by how much fun kids can have with some googly eyes. Sure, these pranks might not bring lots of laughs, but they’re a great option for little kids hoping to have a little fun. Googly eyes can be placed on just about everything under the sun, which makes them a great way for your child to exercise some creativity. One example is placing some eyes on the fruit in your child’s lunch box. Kids can even make large googly eyes to place on shrubbery and so on. Typically, smaller googly eyes are cheap to purchase, but you can also make your own from scratch if you want children to get even more in depth with their pranks. April Fool’s Day can be a lot of fun for kids if they have a little guidance in the matter. These fun tricks will have your whole family laughing as they discover all of the pranks that they’ve left for each other. Without a doubt, you’ll find the holiday to be a great bonding experience for the whole household.